It’s pretty hard to write a decent description without using your senses. Sometimes the right smell will jolt you back in time. The other day, I was walking along the coast in La Jolla, CA (I know, rough life!) when I was hit with a scent that rocketed me right back to childhood. 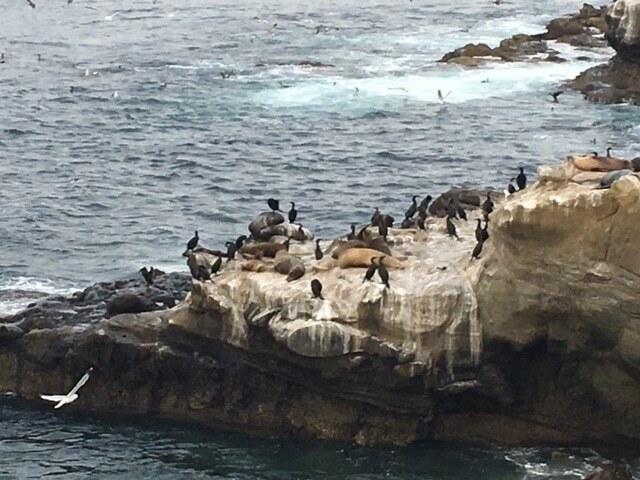 The area was beautiful, but it was also a protected sanctuary for seals and sea lions. I was admiring the beauty when the odor hit me like a wave. It was a cross between rotten fish and cat litter, and even though we were outside, it was extremely concentrated and pungent. When I was a child, my grandfather used to take us to the Baltimore zoo every Sunday. Every. Single. Sunday. We never got sick of the zoo because the playground had a rocket ship climbing structure. Before ipads were invented, rocket ship climbing structures were a pretty big deal! Every, single Sunday my brother and I had a contest to see who could stay in the hippo house the longest. The hippo house smelled exactly like those seals, only it must have been much, much worse because it was indoors. Hey, wait a minute! It just occurred to me that I always won that contest. Let’s play a little game. Head on over to the facebook page and describe the most disgusting thing you have ever smelled.